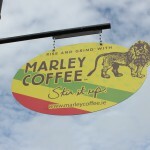 A local coffee shop has just brought a piece of Jamaica to town as Marley Coffee at The Jam Factory in Ballymena brings Get Up Stand Up, One Love, Buffalo Soldier, Lively Up & Simmer Down to our town. 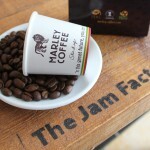 Yes, they’re all well known Bob Marley hits but they’re also the names of the fantastic new range of coffee available at The Jam Factory. 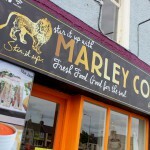 It’s great to see Marley Coffee in Northern Ireland and as well as serving it in the coffee shop, Marley Coffee at The Jam Factory in Ballymena are also selling the beans and ground coffee in handy 227g bags so you can also enjoy it at home. 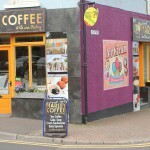 Marley Coffee at The Jam Factory is on the corner of High Street & John Street, Ballymena – right beside Red Star Music and opposite the Tower Centre car park. It has had a fantastic facelift as you can see from the photos and is a great place to meet friends, have a quiet break, answer a few emails using their free wifi and enjoy some of their fantastic range of great food along with one of their new coffees. 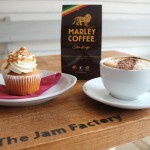 Marley Coffee at The Jam Factory in Ballymena – for great food and coffee!